A female servant of the Kirishiki family. Yoshie is an extremely rare Shiki "Jinrou" type like Tatsumi and Natsuno. She's notably more lenient than Tatsumi in handling the Shiki villagers. 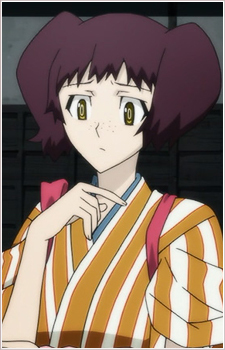 In the anime, she is shot in the head and killed during the shiki slaughter by Seishirou (hypnotized by Natsuno's bite). In the manga, the wound did not kill her, and Yoshie regenerated to health to assume control of the hiding Shikis. She commits suicide by grenades, killing a lot of the villagers.